I bought my first falafel from a sidewalk cart in Bethlehem on my 20th birthday. So it was authentic, delicious, and memorable. (Side note: the falafel wasn’t even the most memorable thing that happened that day, but the more memorable thing is a considerably longer story.) Falafel is what you get when you grind up chick peas (a.k.a. garbanzo beans), mix them with spices, form them into small patties or balls, and deep-fry them. These nuggets of high-protein vegan goodness are often served in a pita with tomatoes, cucumbers, lettuce, and tahini—in which configuration they make great street food. 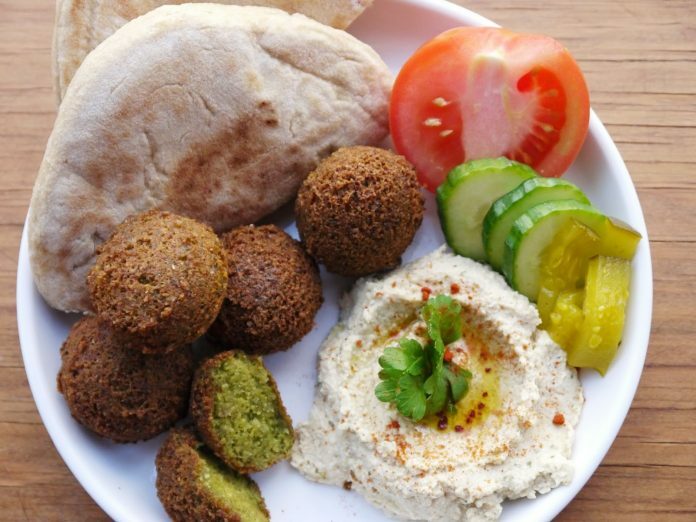 International Falafel Day, celebrated every June 12, is a fine day to buy or make this reasonably healthy fast food.